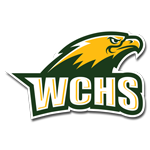 On Monday July 25th at 7:00pm the Wilkes Central High School Athletic Department will hold an annual Fall Parent/Student-Athlete meeting in the main gymnasium. Parents and students who wish to participate in a Fall sport at Wilkes Central are required to attend this information session. Important information and paperwork will be presented by Central Principal Dr. Dion Stocks as well as Athletic Director Jeff Savage. Parents and student-athletes will be given the opportunity to ask questions at this information session as well. In addition, fall sport coaches will hold “break out” sessions with their teams after the main meeting to speak on issues that are directly related to their sport. This important meeting is mandatory for all students and parents who wish to play a Fall sport at Wilkes Central.